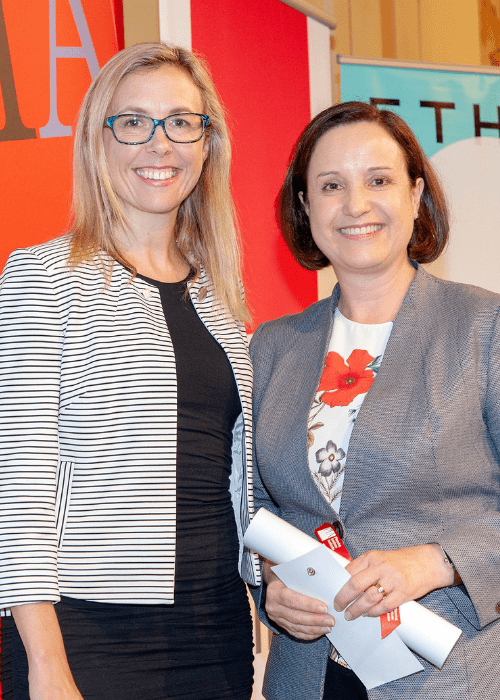 The 2019 Planning Institute of Australia (PIA) International Women’s Day Breakfast was held at the Myer Mural Hall on Thursday 14th March. During the breakfast, a surprise presentation was made to Hansen Partnership Director, Sandra Rigo, as she was awarded a PIA Fellowship. Sandra is a Town Planner with over 25 years of experience in statutory and strategic planning. She is a strong advocate for women in planning, with a focus on mentoring young planners and fostering opportunities. Congratulations on this well-deserved honour, Sandra! Whilst things have changed since I first started in local government and the number and seniority of female Planners has risen, in my opinion, the role of the Women’s Planning Network is even more relevant today than when it was first formed in the mid-1990s. While I am grateful to the role models and mentors who have influenced and helped mould the Planner I am today, I also feel a responsibility to support and guide all younger Planners, females in particular. 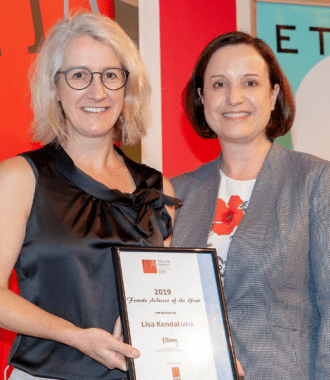 This responsibility is made easier knowing there is an abundance of incredibly talented and passionate female role models such as Nicola Smith, Colleen Peterson, Kath Heggan, and Amanda Ring, amongst others, leading the way. I hope to draw on my experiences of the last 25 years to help inspire the next generation of female Planners into leadership and senior positions.